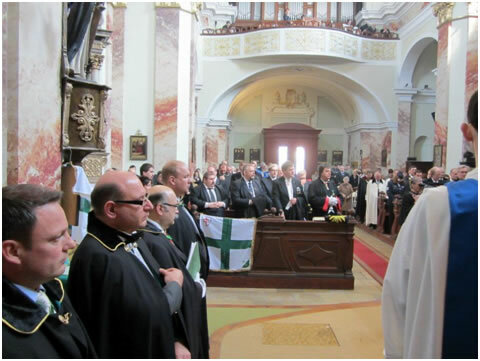 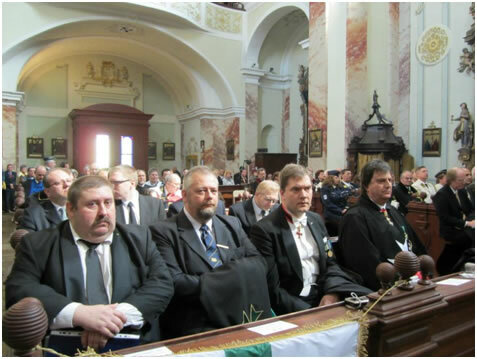 The Grand Priory of Hungary of the Hospitaller Order of Saint Lazarus of Jerusalem hosted and sponsored the consecration and investiture of the newly formed Grand Priory of Denmark which was held on the 24th of March 2012 in Sopron. 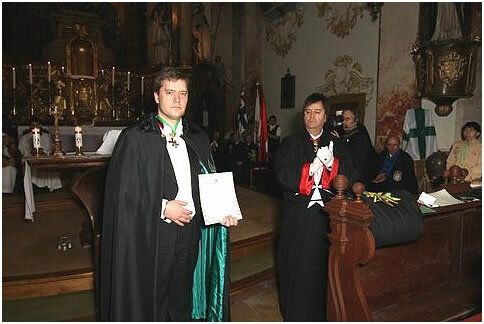 With a beautiful Latin Mass which also encompassed and projected the Order's ecumenical Christian roots due to the multi denominational representatives of the clergy, including a delegation of Lutheran ecclesiastics in honour of our Danish postulants, the consecration of the Grand Priory of Denmark saw the first Danish Grand Prior, Chevalier Mark Flensted Statkaer KLJ, being given the oath of office by the Grand Chancellor of the Order who was assisted by his aide de camp and the Officers of the Grand Priories of Hungary and Austria. 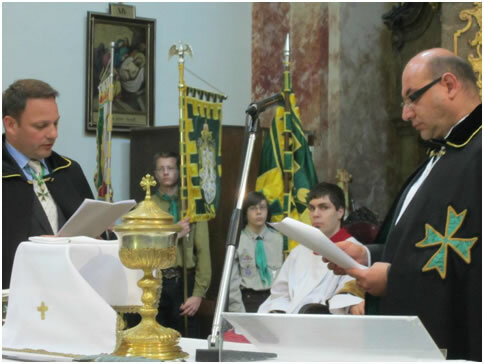 A number of postulants were also admitted into the Order on this solemn occasion. 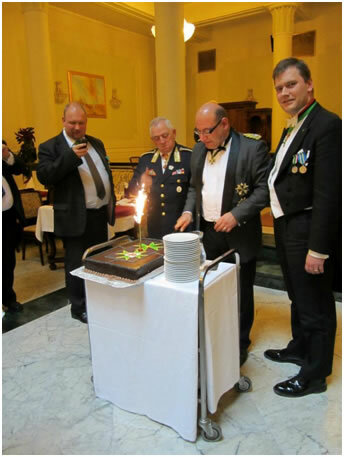 Afterwards, an investiture lunch was held were all the Order's officers and members and their guests continued this memorable day in harmony and brotherhood.